For those relocating to Virginia Beach, especially the military, and they are not sure if they are going to be in Virginia Beach for more than 4 years …. renting can be the best option. You now have a lot of choices when it comes to single family homes for rent. Inventories are a little on the high side and the monthly rental prices, due to competition, have come down in the past 3 years. But don’t wait too long ….. demand is high and growing even higher. With strong demand for rental housing, it doesn’t take long for the shift, and as inventories drop …… rental prices go up. Right now more and more military and other corporate relocation individuals and families are turning to renting. Purchasing in a community like Woodbridge Pointe is only cost effective if you can buy and hold on for the long term … say 4-8 years. If your relocation job is not guaranteed for more than 4 years … you may want to consider renting, and still capture the community lifestyle. 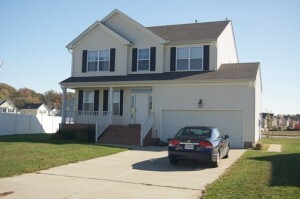 Woodbridge Pointe is a quiet community at the western fringe of the City of Virginia Beach. Single family homes sell in the mid $300’s to the upper $400’s, with the mean new home selling for just under $400,000. Conveniently located just 3 miles off I64 and just 5 miles from the Greenbriar work center in Chesapeake, and just 20 minutes to downtown Norfolk … you will find this an easy and affordable lifestyle alternative. If your working destination is Norfolk Naval base or Oceana Naval Air Station …. 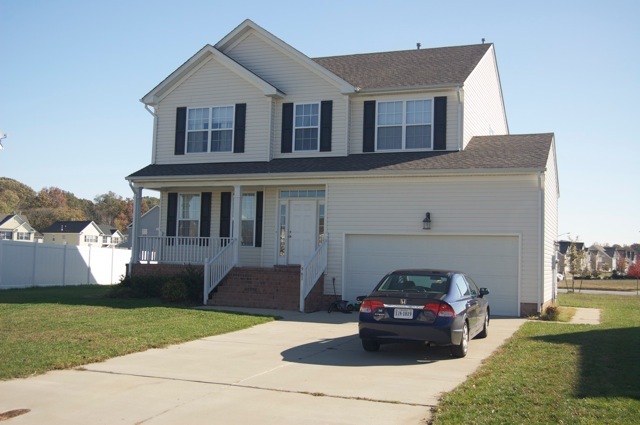 Woodbridge Pointe is an easy commute to either Naval Base and the many other military bases in the area. This particular home, built in 2007, is well suited for all family types. Attractively priced at just $1895/month …. this 2500sqft. home on a cul-de-sac location is the perfect alternative. Visit the rental home website at www.vabeachin.com for more details.